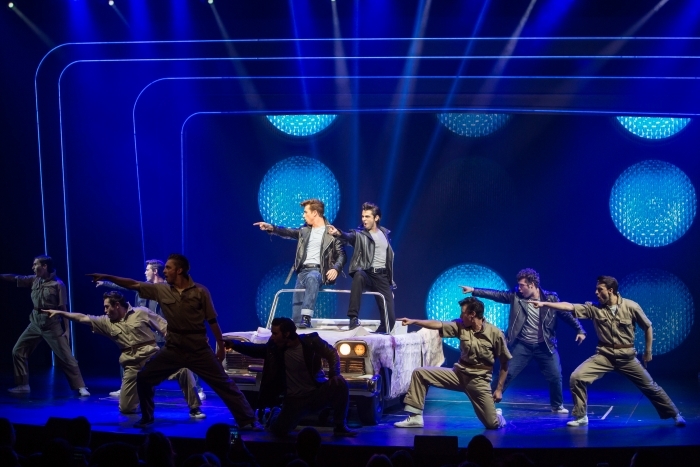 Cruise ship entertainment has come a long way since the variety-type shows of old, with Priscilla, Queen of the Desert, We Will Rock You and Mamma Mia among the top-selling musicals you can now enjoy at sea. The change has been revolutionary and not just confined to the song and dance shows. Royal Caribbean International’s Oasis, Allure and Harmony of the Seas, for instance, have an AquaTheatre that stages thrilling displays of high dives and aquabatics. The company’s new Quantum-class ships (Quantum, Anthem and Ovation of the Seas) each have a venue called Two70 – a relaxing hangout by day and a high-tech show lounge in the evening, with a video wall and even six robot-controlled ‘dancing’ screens. These ships also have skydiving simulators, dodgem cars and roller-skating, as well as a FlowRider surf simulator. Musical attractions are a popular theme. Stroll through the Music Walk on Koningsdam, a new Holland America Line ship launching in April 2016, and you can get with it in the BB King Blues Club, listen to chamber music in Lincoln Centre Stage and bop till you drop to live chart-toppers in Billboard Onboard. Crystal Cruises has Imagine, a show performed in total darkness (no one is allowed to enter once it has started) with dancers dressed in black costumes fitted with wireless lights that switch on and off so they appear and disappear. New on Norwegian Epic, Beatles tribute bands will be performing in the first Cavern Club at sea. P&O Cruises has professionals from Strictly Come Dancing on selected departures; on Princess Cruises’ ships the passengers themselves are the entertainment in an at-sea version of The Voice. It launched on three ships in autumn 2015 and has been rolled out across the fleet between January and May 2016. Carnival Cruise Lines has Carnival Live!, a concert series featuring well-known acts such as Heart and Lionel Richie. They fly in, perform their gig in the theatres on selected Carnival ships (there is a price for seats) and then head off again. If something more scholarly appeals, entertainment on Swan Hellenic and Voyages to Antiquity means lectures by eminent professors, religious leaders and military experts. Seabourn’s Conversations programme features historians, business leaders, artists, scientists and diplomats.